Europe's largest outdoor advertising company JCDecaux SA is reportedly considering a 25% stake in its Russian counterpart Russ Outdoor to expand its business in the emerging Russian market. 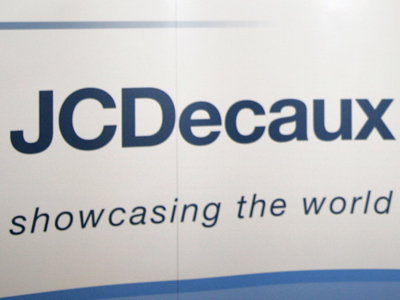 JCDecaux could announce the deal as early as this week, Kommersant Daily reports citing sources. Both companies declined to comment. JCDecaux has been interested in Russ Outdoor for several years. It planned to acquire 100% of Russ Outdoor in 2008 for $1 billion, but the deal failed because of the crisis. Russ Outdoor, formerly known as News Outdoor, had been owned by Rupert Murdoch’s News Corp. Last year a 79% stake of the company was sold for $360 million to a consortium including VTB Capital equity firm, Marathon Outdoor Cooperatief owned by Alfa Capital Partners and the founder of СЕС Media Peter Hervey. VTB Capital said in a report it has bought 35% of Russ Outdoor for $91.4 million. It puts the market value of Russ Outdoor at only $256 million, a fifth of its 2008 valuation. Russ Outdoor operates in 80 towns of Russia. However, the rental period of a major part of its advertising system expires in 2013, making it difficult to estimate the company’s growth in the near future, experts say. JCDecaux, one of the world's leading outdoor advertising companies, operates in more than 54 countries, 165 airports and has approximately 8900 employees. The company posted $3.4 billion revenue last year and its current market value is $5.3 billion.